Not a scrap of litter! 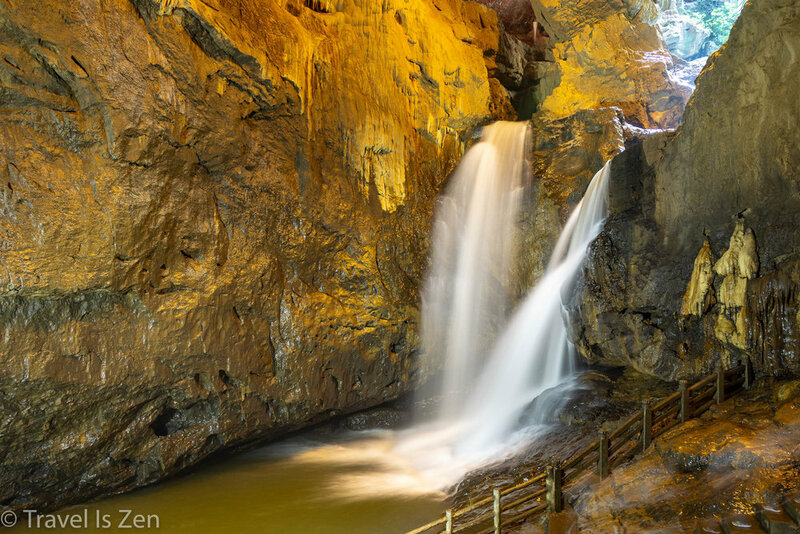 The tourist attractions in Yunnan Province are as clean and accessible as any Disneyland theme park. After weeks of following the trash trails in Kathmandu, I relished the sanitized paths winding through the Stone Forest. Before India collided with the Asian continent, much of what we know as South East Asia today was underwater, part of the Tethys Sea. Over millennia, plate tectonics shifted the oceans and pushed up the sea floor. Exposed to wind and rain, the seabed -- composed mainly of sandstone and limestone -- eroded, forming interesting and diverse geological formations called karst. 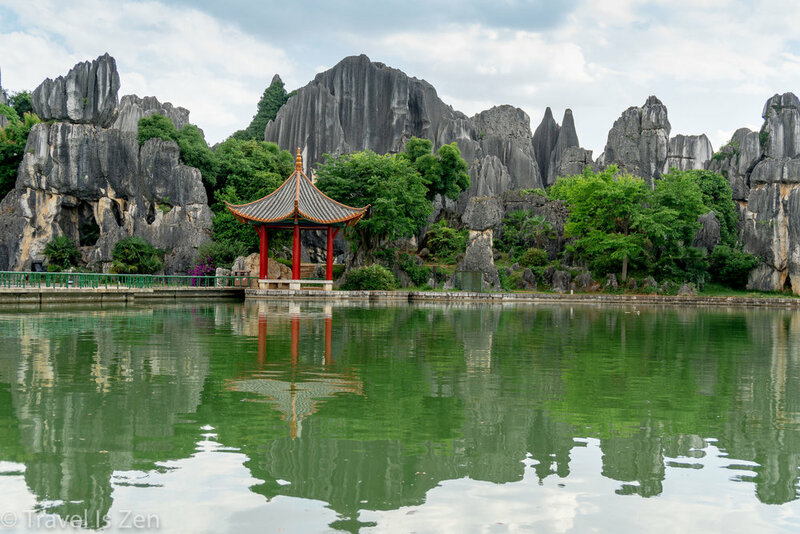 The Stone Forest in Yunnan Province was formed over 270 million years ago and is quite different from the karst landscape in China's Guangxi Province and in Tam Coc, Vietnam. 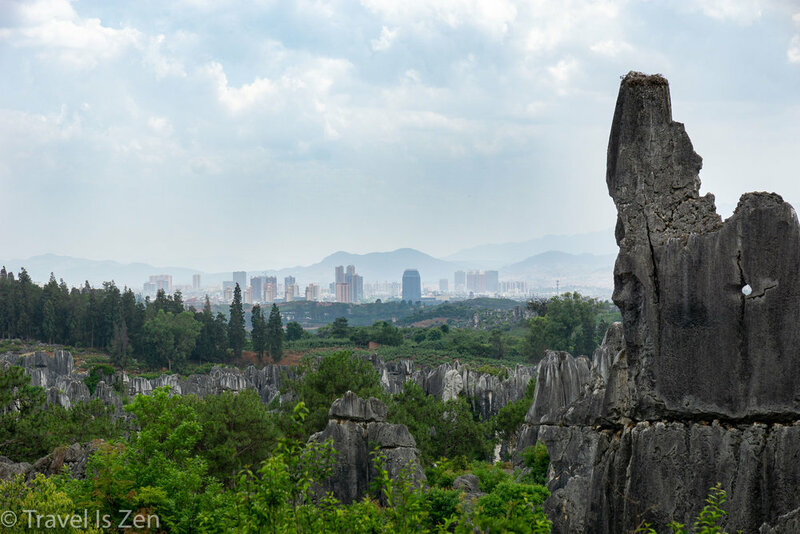 The Stone Forest extends as far as the eye can see. We walked miles through the park on trails designed to follow the natural erosion pattern of the landscape; we never did reach the end of the park. I had read that Chinese tourist attractions are crowded, but we seemed to have the place to ourselves once we passed through the main photo area. Chinese people began traveling en masse for leisure only in the last twenty years, as holiday policies were revised and a burgeoning middle class found itself with a bit of disposable income. Each year, more than 25 million Chinese people take their first overnight vacation. They are relative neophytes when it comes to travel planning, so many Chinese domestic travelers prefer to book a packaged tour. They move around with family and friends in large, fast-paced groups led by boisterous guides, skimming a scenic area's main view points and quickly moving on. It's easy to get off the beaten path in China by simply walking the trails leading to each view point. You will rarely encounter a tour group walking more than a few hundred feet! 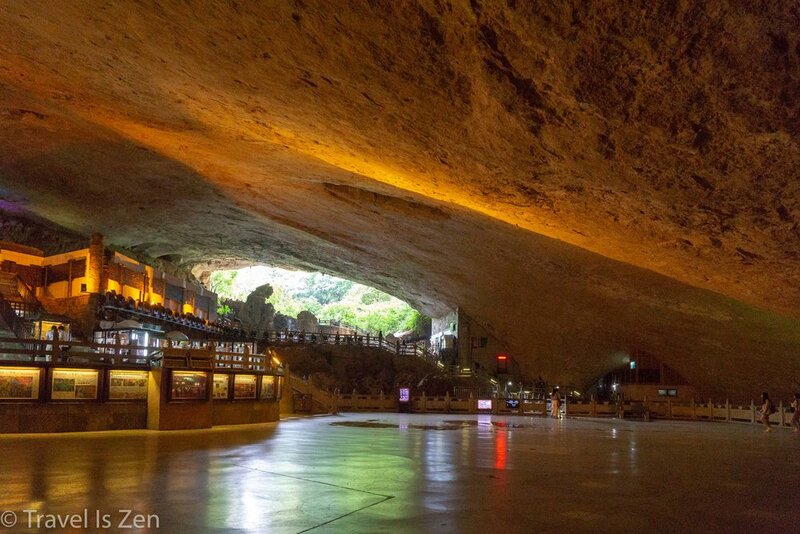 Another feature of a karst landscape is cave formation. 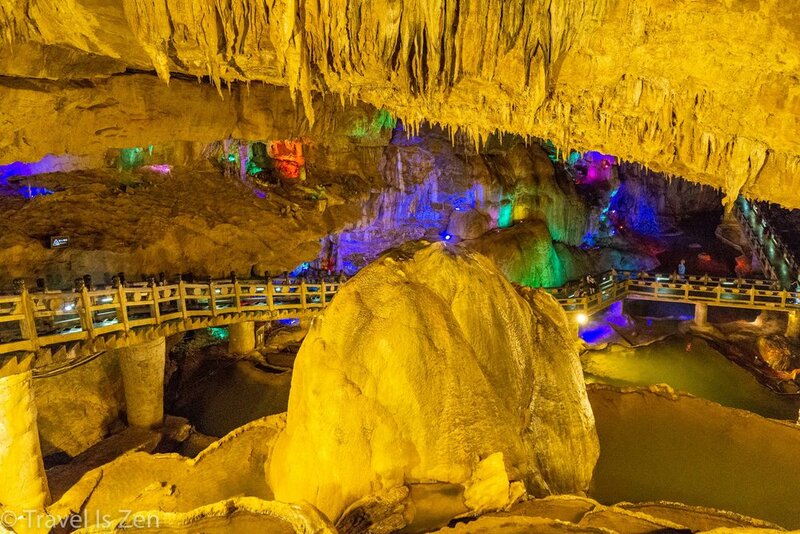 Beneath the sublime hills of Yunnan Province in Shilin Scenic Area are vast caverns pulsing with garish neon lights covering the rainbow's full spectrum. 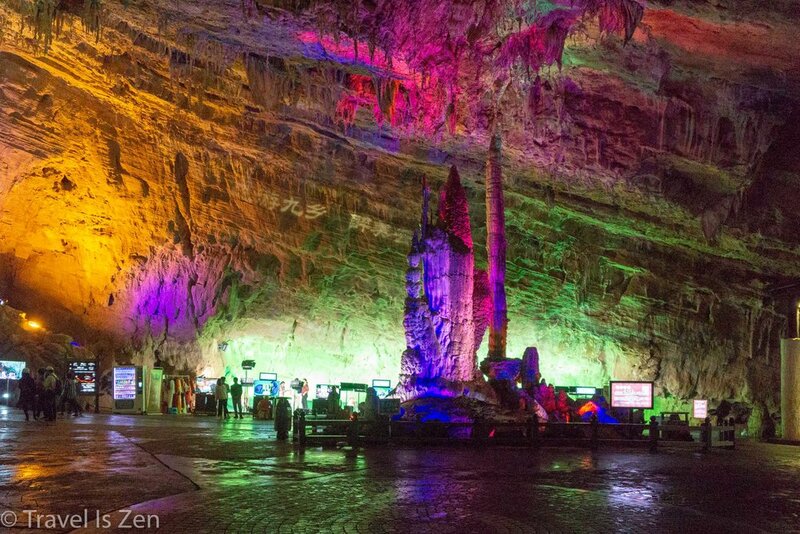 Energetic music pumps from deep within the belly of the Jiuxiang caves, where tourists are invited by locals dressed in Yi ethnic garb to dance like idiots as they create music videos of themselves. Say what?? 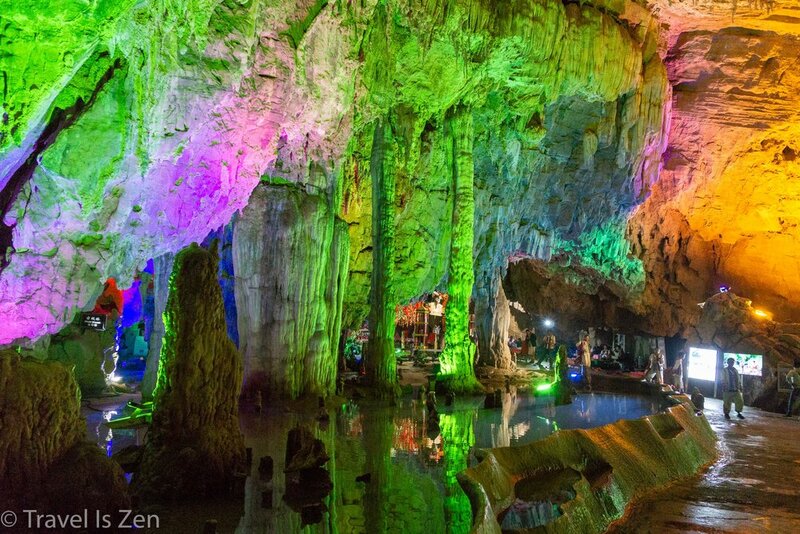 The glitzy, touristy cave experience in China is quite different from the austere and serene cave experience in Phong Nha, Vietnam. We could not avoid comparing the two because they were so wildly different!! You certainly can't call the Chinese dull!